Dr. Kim is a Virginian who grew up in Springfield Northern Virginia. He went to Virginia Commonwealth University/MCV campus and he received undergraduate degree in Clinical laboratory Science with honor. He then went on to receive his Doctorate of Dental Surgery from West Virginia University with honor. Upon graduation, Doctor Kim, married Doctor Yoo-Jin, who is a Physical Therapist and has a son named, Jayden. 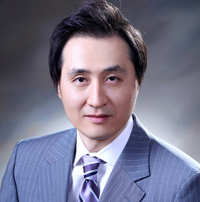 Dr. Kim is committed to providing quality, comprehensive care for the whole family. He offers latest advanced digital technology, through communication, and relaxing amenities to all of his patients so that they feel comfortable in his care. Dr. Kim has been providing dental services to the Fredericksburg area since 2008. Dr. Kim and River Club Dental Care staff want to change the way you think about going to dentist. At River Club Dental Care, we always put the needs of our patients first. Whether you are visiting us for a routine cleaning or a complete smile makeover, we promise to take great care of you!